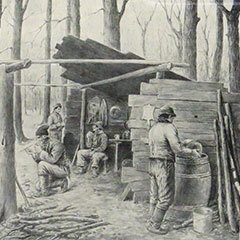 Maple sugar making is generally considered a pleasant activity, even if the sugarhouse is also a place of work, at least in the beginning. 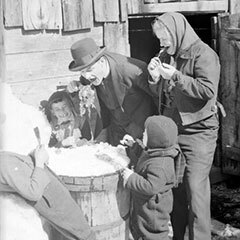 Until the middle of the 20th century, when the Catholic faith was very much part of the way of life in Québec, the sugaring season competed with Lent, during which the Church prescribed a strict fast. This requirement never managed to take this moment of festivity at the end of a long winter away from the people of Québec. Although the context has changed, going to the sugarhouse is still one of Québec’s most popular traditions. Video with accordion music presenting a sugar house open year round. 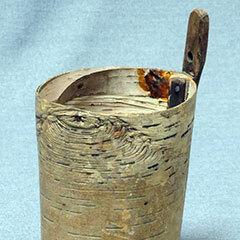 Amerindians collected maple sap well before Europeans set foot in New France. They taught them their technique at the beginning of the 18th century. 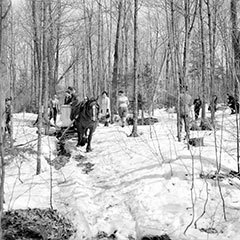 At this time, a great number of sugar makers operated sugarbushes located on the Crown’s land or a seigneury that did not belong to them. 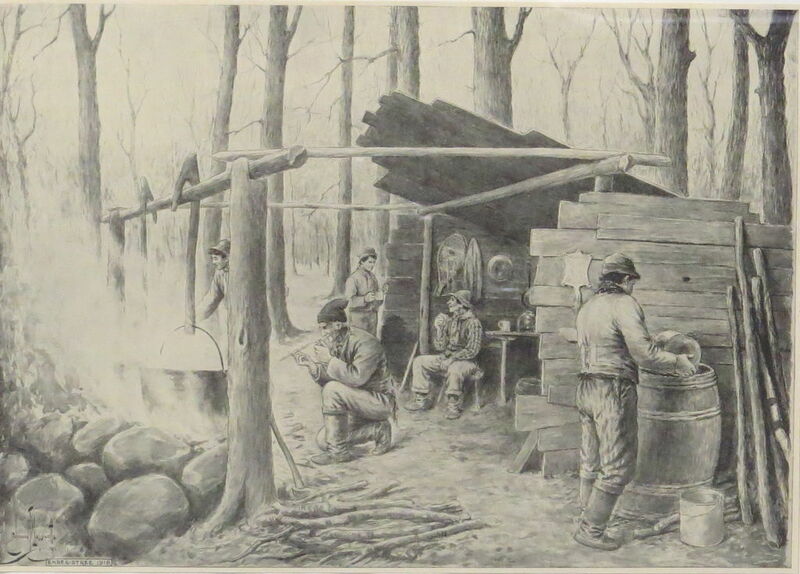 A fireplace and temporary shelter were built, then demolished at the end of each sugar making season. It is only during the first half of the 19th century that the first permanent sugarhouses were built. Since the 1970s, the sugarhouse has become a commercial business where large groups are welcomed in big dining halls. Collecting the sap under vacuum through tubing has also transformed production. 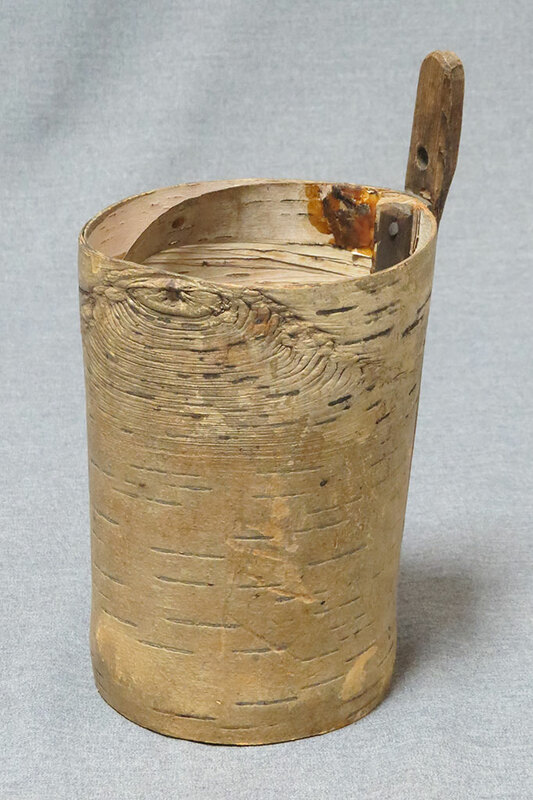 While some sugar makers still maintain the ancient craft, the maple sugar production now relies on modern techniques with an aim for profitability. 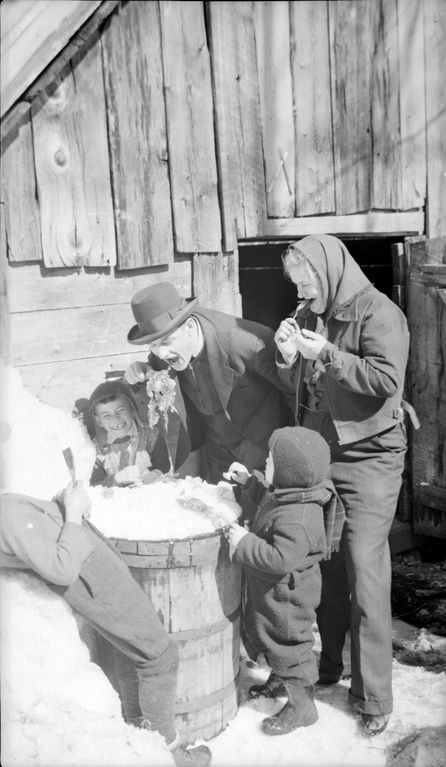 Quickly, the sugarhouse became a place of leisure: family, friends, and neighbours got together to visit the sugar makers. 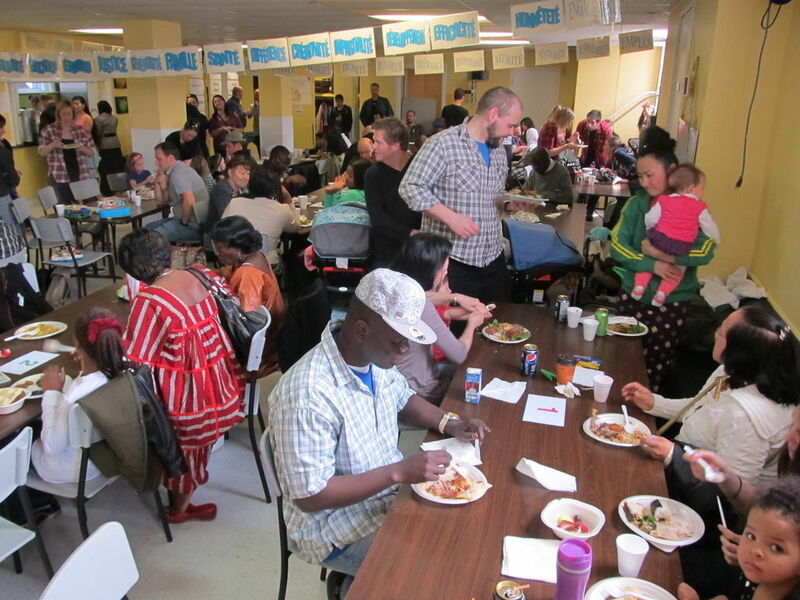 They could sample maple products and were treated to generous meals. 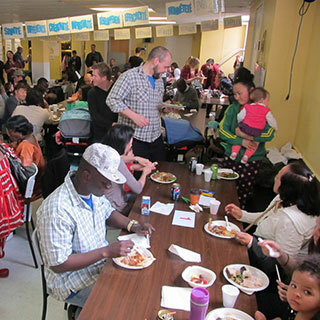 The atmosphere was sometimes livened up with music, song, and dance. 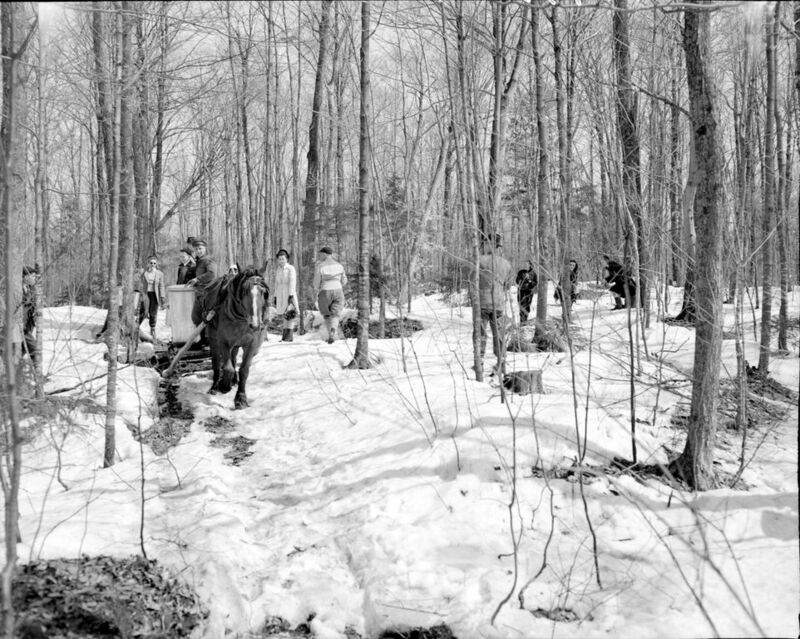 Sugaring off parties were quite lively: hide-and-seek games in the woods, snowball fights, rallies, storytelling, and so on. Everything washed down with plenty to drink from the household cellar, which could make or break its reputation. 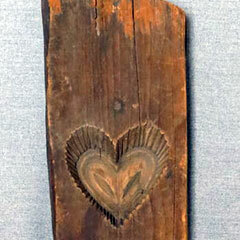 Spring is the perfect season for love affairs. Consequently, remote sugarhouses, tucked away from supervision, worried self-righteous people to the point that the Sacred-Heart League posted warnings to sugarhouse owners in the L’Action catholique newspaper in March 1949. I’ll go and see her on Sunday, oh yes, I will! Let’s all go to the sugarhouse, oh-oh! Male voice (Albert Viau) singing La cabane à sucre accompanied by a piano. To taste the maple syrup. For sugar season, what lovely weather we have. You can see the water isn’t hot enough yet. Only Oscar is by himself. Tonight, when they are back home.